Interested in learning more? Check out the project’s website, manitobafoodhistory.ca, where you’ll find the Food History Truck, upcoming events, and The Pantry (which holds Story Maps and the project’s podcast series, Preserves). Hot off the press! Please join me for the launch of Not Talking Union: An Oral History of North American Mennonites and Labour. The launch will take place at Winnipeg’s McNally Robinson on Wednesday, 18 May 2016 at 7 pm. The book examines why the majority of North American Mennonites rejected labour unions in the late twentieth and early twenty-first centuries. 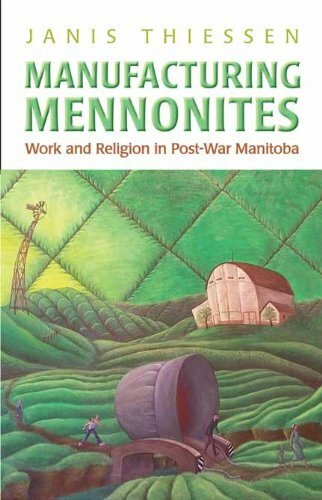 Manufacturing Mennonites: Work and Religion in Post-War Manitoba has received its first review! Historian James Naylor (Brandon University) reviewed the book for Oral History Forum d’histoire orale, the journal of the Canadian Oral History Association. You can read his review here. Manufacturing Mennonites will also be discussed by registrants in Canadian Mennonite University’s theology book discussion group “Take and Read” on 9 April 2014. Reviews of the book have been published in Oral History Review, Mennonite Quarterly Review (see pages 131-33), the Journal of Mennonite Studies, The Canadian Historical Review, Great Plains Research, Labour/Le Travail, Canadian Ethnic Studies, and University of Toronto Quarterly. Celebrating the publication of my first book! The book launch will take place at Winnipeg’s McNally Robinson on Saturday, 27 April 2013 at 2 pm. The book is a history of 3 workplaces – Friesens, Palliser, and Loewen – and discusses the transformation of Mennonite identity in the second half of the 20th century.